I have no idea how people can work without snacks by their side. How are they keeping themselves awake? How are they not hungry every now and then? I've learned in my six years as a working professional that it can't be done. I can work for hours without water but if you take away my snacks from me, I will get crankier than Basti without his favorite chew toy. 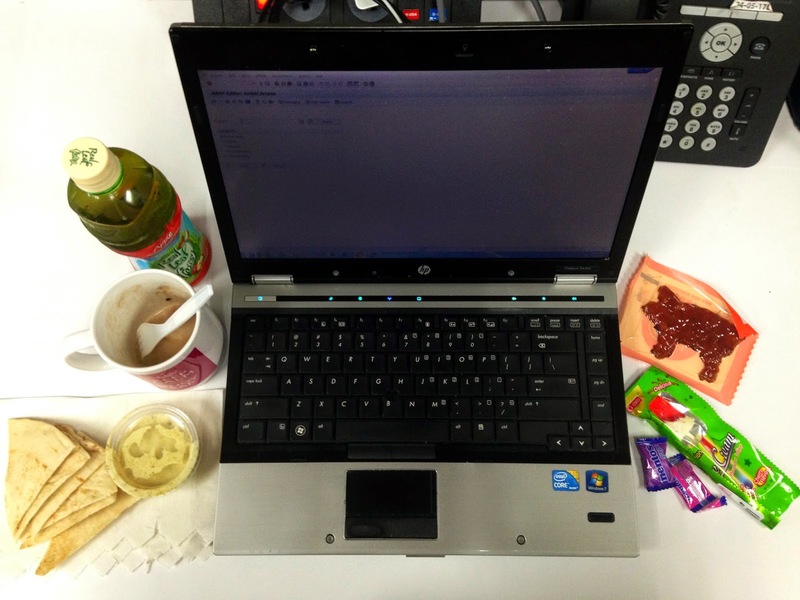 A Snacker's Desk. This is what's on my work desk at the moment! Not even close to the most food I have snacked on in one sitting. Intellectual Propercty Center, Mckinley Hill, Taguig City. March 19, 2015. Sure, if there's healthy food I'll choose that over junk food any day! But munchers can't be choosers. I'll eat whatever I can get my hands on! Probinsyana. Palaweña. IT Consultant currently based in Singapore. It's like Skyscanner, but for hostels! Gets you the cheapest rates across most hostel booking websites. IT Consultant based in SG. jenneverblogs | All Rights Reserved.